Portrait of Chef “Dominique Crenn”, San Francisco. The portrait is a picture within a picture. 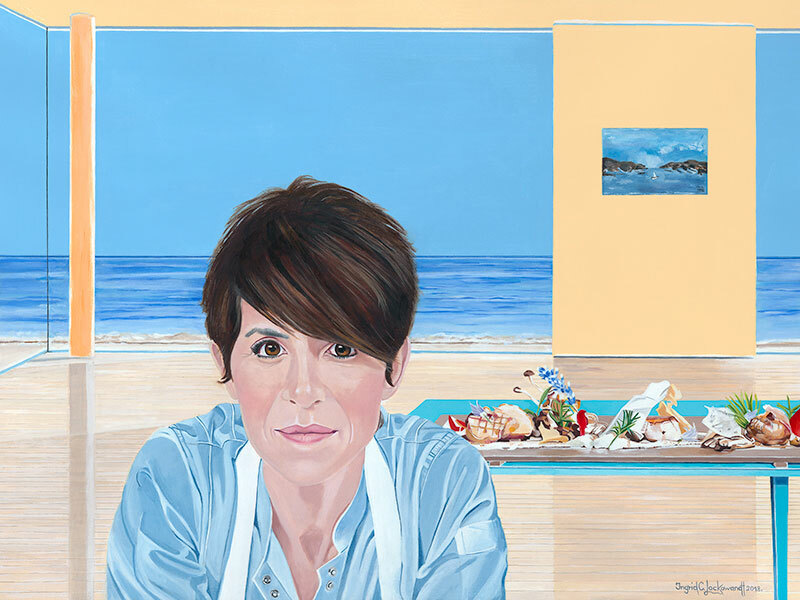 I have endeavored to create a piece that radiates Chef Dominique Crenn’s life focus, the ocean (Bretagne France, as well as our glorious Pacific) and the majesty of her heavenly cuisine.